As the first day of a new month arrives it’s time to take a quick snapshot of what I’m listening to and reading. 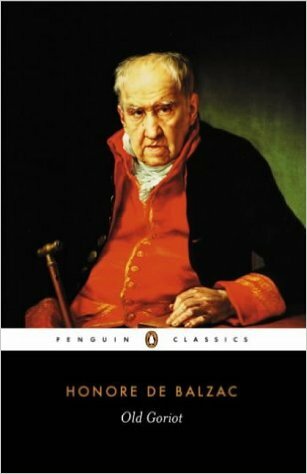 I’m about a third of the way into Old Goriot by Honoré de Balzac which is part of his novel sequence La Comédie humaine. It’s a book that’s been on my TBR shelf for about four years so the TBR Challenge run by Adam at RoofBeamReader was the perfect catalyst to get it down off the shelf. Now I’ve started I don’t really understand why I’ve held back for so long. Set in Paris in 1819, Old Goriot follows the intertwined lives of three characters who live in a down at heel boarding house in an undesirable part of the city. Goriot is an elderly retired trader in vermicelli who is so devoted to his daughters he descends into penury just so they don’t go without. Other inhabitants include a mysterious agitator called Vautrin; and Eugène de Rastignac, a naive law student intent on getting established in the higher reaches of society. I love the way Balzac describes the depressing, gloomy nature of the boarding house, its miserable environs which have ” a suggestion of a jail” and its wretched food. On my journey to work I’ve been engrossed by a true-life story of a friendship conducted via email between a British mother and an Iraqi teacher. Talking About Jane Austen in Baghdad by Bee Rowlatt and May Witwit traces the stages of a friendship which began in 2005 when Bee (a journalist on the BBC World Service) interviewed May (a lecturer in English literature at Baghdad university) for a feature piece. Their lives as so different; one woman is trapped in the bloodbath of Baghdad while the other bakes cakes for the school’s parents’ association; but their friendship grows. Together they hatch a plan to get May and her husband Ali away from the dangers of Iraq. As in all good human drama stories, it’s a plan that doesn’t go smoothly. This is a book that exists only because of that plan (its publication was designed to fund a PhD position in London for May). As a written text I’m sure it would be a fascinating read but it works so much better in audio format where the letters are read by an actress Sian Thomas. She captures so well each woman’s speech patterns and accidents so you feel they are really talking to each other across the miles.